John Lindaman: News flash! Playing Kyle's Korner at Otto's Shrunken Head on Monday October 13th at 10 p.m.
News flash! 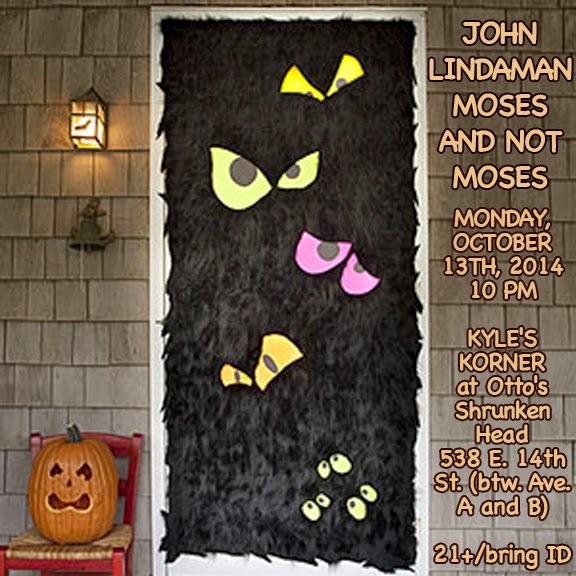 Playing Kyle's Korner at Otto's Shrunken Head on Monday October 13th at 10 p.m.
News flash! Playing at Kyle's Kreepy Korner this Monday, October 13th with Moses and Not Moses (featuring the estimable Hampus Ohman-Frolund as "Not Moses"). It's not Halloween, but October the 13th is like the second- or third-scariest night of the year, right?